Laughing and slapping on the back ensued. Why do some church folks want their preachers to fuss at them? Do they have some deep-seated need to be chastised? Or does it just make for a better show? John the Baptist wasn’t in the business of telling people how good they are. I bring John into this discussion of the Malachi text because the Gospels interpret his prophetic ministry as the fulfillment of Malachi’s expectation of a messenger who would prepare the way of the Lord. We always talk about John during Advent as we look toward the coming of the Lord, which makes sense, since watching for the coming Messiah was John’s business. Malachi said that when the messenger of the Lord came, he would do things like refine and purify people to prepare them for the Lord to come. Malachi also said that people looked forward to the messenger’s coming because they thought it would be a good and positive experience. But Malachi asks, “Who can endure the day of his coming, and who can stand when he appears?” (3:2). You get the feeling that the answer is nobody. Preparing for the Lord to come can be a hard and painful experience. If our preachers are going to fuss at us, what should they fuss about? If they want to help us get ready for the Lord to come, what should they tell us? And the crowds asked him, “What then should we do?” In reply he said to them, “Whoever has two coats must share with anyone who has none; and whoever has food must do likewise.” Even tax collectors came to be baptized, and they asked him, “Teacher, what should we do?” He said to them, “Collect no more than the amount prescribed for you.” Soldiers also asked him, “And we, what should we do?” He said to them, “Do not extort money from anyone by threats or false accusation, and be satisfied with your wages” (Lk 3:10-14). John told his listeners to get ready for the Lord to come by practicing justice in the ways they treated people. During this Advent season, if our preachers fuss at us along those lines, we shouldn’t enjoy it. But we shouldn’t be surprised at it. And we should take it so seriously that we change the way we live. 1. Malachi says that the people have “wearied the Lord with [their] words” (3:17). Do we ever do that? If so, how? How can we avoid doing so? 2. God announces through Malachi that a messenger is coming to prepare the way for the coming of the Lord. God then says that the Lord will “suddenly come” (3:1a). How can this inform our reflection during Advent? 3. The New Testament views John the Baptist as the fulfillment of Malachi’s prophecy of the messenger because John announced and prepared the way for the coming of Jesus. Who are our messengers who encourage us to look back to Jesus’ first coming and forward to his second coming, as well as for ways he comes to us here and now? How seriously do we take their proclamation? 4. What can we give that will please the Lord (v. 4)? How do we know what the Lord wants from us? The announcement of the Lord’s coming would be good news, if as they claim, Malachi’s people indeed seek the Lord (3:1, cf. 1 Chr 28:9) and if they truly delight in God’s covenant (3:1; cf. 2:4, 8, 10, 14)—but of course, they do not. The reader is clued to this by the use of the word pito’m (“suddenly”), which is used for calamitous surprises: ambush, destruction, and sudden death (e.g., Num 6:9; Josh 11:7; Jer 4:20). One is reminded of Amos exhorting the people of Israel, “Alas for you who desire the day of the Lord! / Why do you want the day of the Lord? / It is darkness, not light” (Amos 5:18). For the corrupt temple establishment, then, the announcement of the Lord’s appearing is anything but good news! “For he is like a refiner’s and like fullers’ soap,” Malachi says; “he will sit as a refiner and purifier of silver, and he will purify the descendants of Levi and re ne them like gold and silver, until they present offerings to the Lord in righteousness” (Mal 3:2b-3; perhaps better translated simply as “right offerings”). The image of the smelting furnace, as this study has already observed (cf. the discussion of Zech 13:9), is typically used in Scripture as a metaphor for trials that make one stronger and one’s commitments clearer. The metaphor of launderers and soap is used by Jeremiah as well, who cries, “O Jerusalem, wash your heart clean of wickedness so that you may be saved” (Jer 4:14), but who also uses this same image to underline the people’s ineradicable guilt: “Though you wash yourself with lye / and use much soap, / the stain of your guilt is still before me, / says the Lord God.” In Psalm 51:4 (2), the Psalmist pleads for God to “Wash me thoroughly from my iniquity, / and cleanse me from my sin” (cf. Ps 51:9 ). As Malachi also recognizes, only God can cleanse the stain of sin. 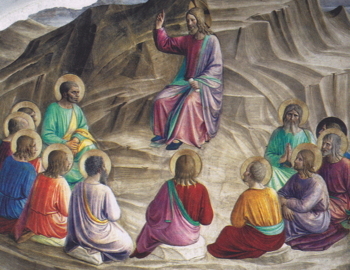 Once purified and cleansed by God in the coming trials, the priesthood will at last present right offerings to the Lord, restoring Judah and Jerusalem to a right relationship with God (3:4). Steven Tuell, Reading Nahum–Malachi: A Literary and Theological Commentary, Reading the Old Testament (Macon GA: Smyth & Helwys, 2016) 249.